It’s hard to believe it’s been almost 10 years since ANCHORMAN came out, but those who have been patiently waiting for the sequel are about to be very happy. 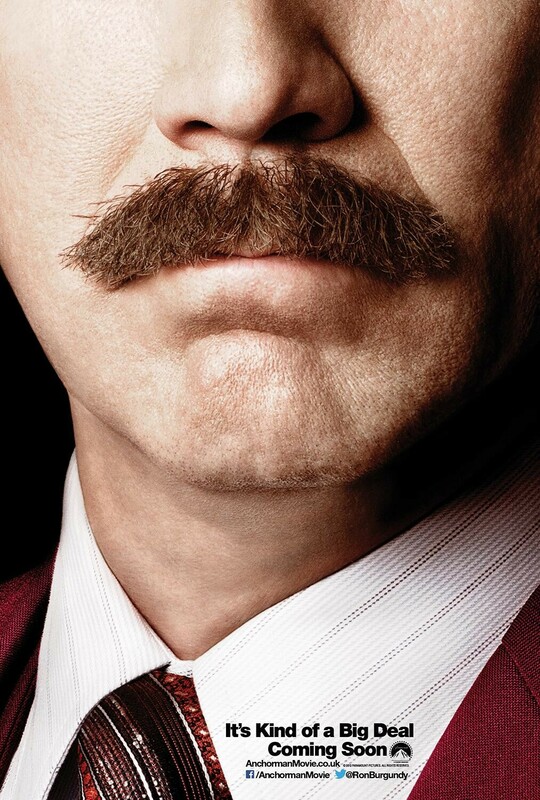 ANCHORMAN: THE LEGEND CONTINUES hits just in time for Christmas, Will Ferrell is back as Ron Burgundy, joined by original ANCHORMAN cast members Steve Carell, Paul Rudd, David Koechner, Vince Vaughn and Christina Applegate. Newcomers include Jim Carrey, Harrison Ford (yes, he’s in it), Sacha Baron Cohen, James Marsden, Kristen Wiig, John C. Reilly, Meagan Good, Kirsten Dunst and Nicole Kidman… whew! What a cast!! Adam McKay returns to the director chair, and co-wrote the screenplay with Farrell. This all comes after a rather premature teasing a year ago with a rather cryptic teaser trailer, but at least they followed through. Check out the new trailer and tell us if you’re anxiously awaiting more wacky adventures with Ron Burgundy. 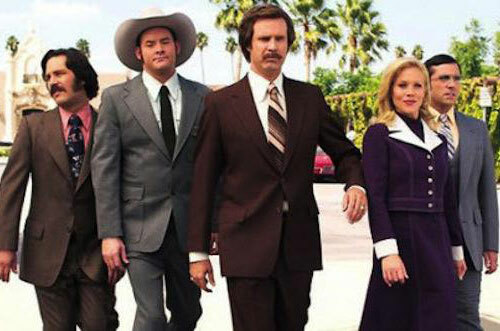 With the 70′s behind him, San Diego’s top rated newsman, Ron Burgundy (Will Ferrell), returns to the news desk in “Anchorman 2: The Legend Continues.” Also back for more are Ron’s co-anchor and wife, Veronica Corningstone (Christina Applegate), weather man Brick Tamland (Steve Carell), man on the street Brian Fantana (Paul Rudd) and sports guy Champ Kind (David Koechner) – All of whom won’t make it easy to stay classy…while taking New York’s first 24-hour news channel by storm.